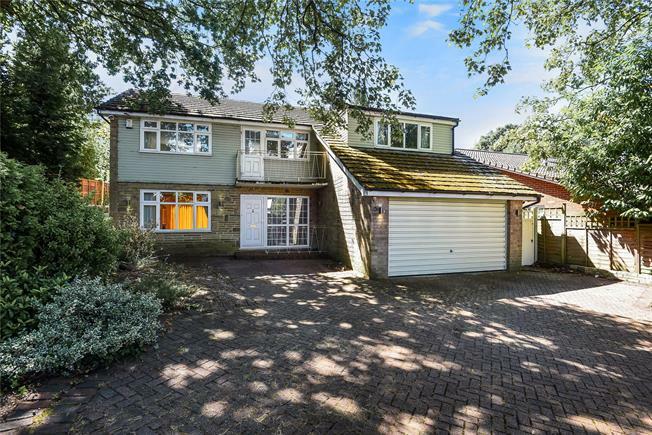 4 Bedroom Detached House For Sale in Keston for Asking Price £975,000. We are delighted to offer for sale this four bedroom substantial detached house located in a desirable position close to Ravenswood School and backing onto the Keston Park private estate. The property features a spacious lounge, separate dining room and kitchen opening to breakfast room with additional cloakroom and utility to the ground floor. The property benefits from an attractive south facing garden to rear, plus 17 x 14ft garage with further parking to front. Viewing recommended.